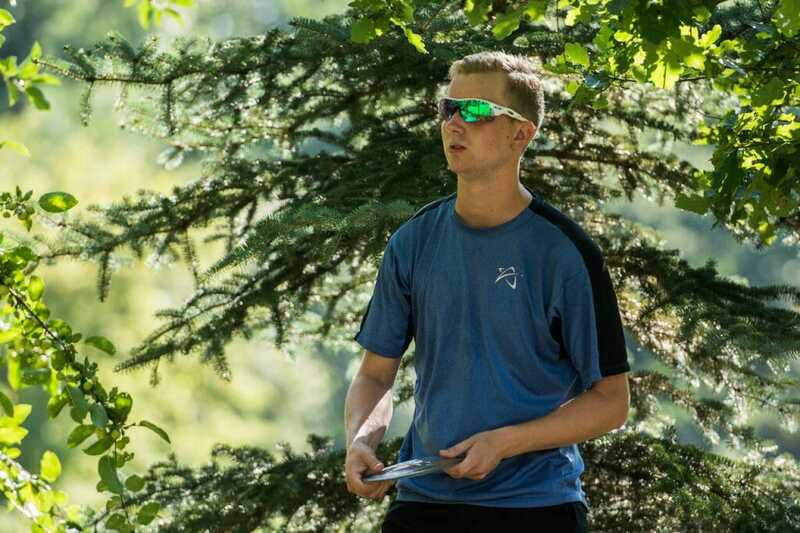 For much of the opening day at the European Disc Golf Championship, it was Estonian forehand specialist Silver Lätt’s 8-under par 52 that stood atop the Open leaderboard. However, Finn Seppo Paju—coming in on one of the last cards of the day—finished his round with a turkey to achieve a 1062-rated 9-under par 51 and establish an early, narrow lead. Just behind Paju and Lätt are Finland’s Pasi Koivu and a little-known German player by the name of Simon Lizotte (I hope I spelled that right) with 7-under par 53s. “It was exactly what I wanted—solid playing without bogeys and capitalizing on birdie opportunities,” Paju said about his first round. As for his plans for tomorrow, they’re simple. “I just want to enjoy myself,” Paju commented. “I have no score in mind; I’m just thinking about my next shot.” Paju also gave a hint about what type of course players are facing. “You need a lot of straight midrange shots here…my M3 was the highlight of the round,” Paju said. Lätt reported being “really satisfied” with his first effort of the tournament. He’s also excited about where his solid play has landed him. As for the playing the second round, Lätt is looking to avoid the bogeys he took in round one, and in order to do so has “changed up” his strategy in some places. He said his ideal round would be anything 6-under par or better. Along with a hope for averaging around 7- to 8-under par for each round of the tournament, Koivu’s considerations for the future concern how his preferred soft putters might not withstand late-afternoon play (he started his first round at 8:50 a.m.). “I might need to change to harder ones because I’m gonna play in the heat tomorrow,” he mused. Lizotte, like the others on the lead card, was generally satisfied with his performance yesterday. However, he does feel that the course doesn’t always play to his strengths, and even when it did—he didn’t always execute. Given that he was generally happy with his play yesterday, Lizotte plans to make nothing but “some minor adjustments” to his play today to try and reach his ideal score of 10-under par. It is also interesting that Lizotte expressed the opinion that the tree density on some holes puts players largely at the mercy of ‘Lady Luck’ rather than their skill level. Just one stroke back of Koivu and Lizotte at 7-under par is recently crowned Finnish National Champion Leo Piironen. Just one stroke back of him is a logjam of five players tied for sixth—German Marvin Tetzel, Swede Linus Carlsson, and Danes K.J. Nybo, Kristian Spliid, and Martin Spliid. With things this tight near the top, and plenty more players right on the heels of those in sixth, there are likely to be at least a few big moves made tomorrow. 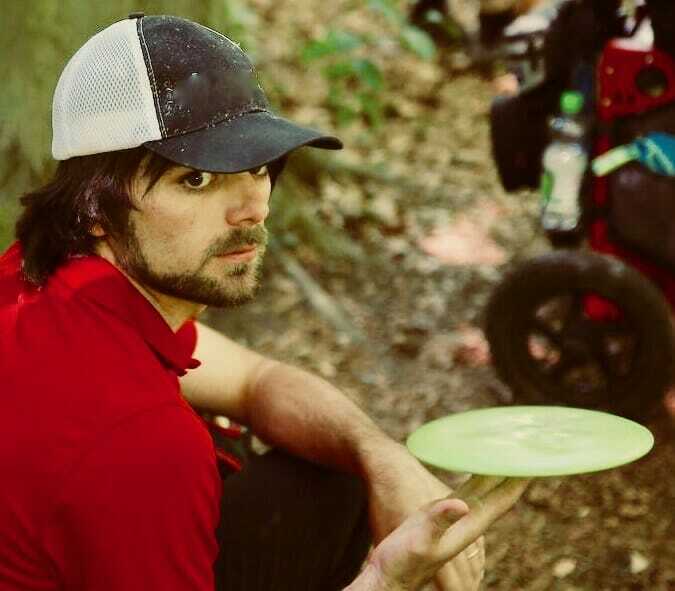 Comments on "Paju Leads Early At European Disc Golf Championship"